Would this be your perfect electric vehicle? BMW unveiled an electrified version of the original Mini at the New York Motor Show, to emphasise the brand’s electric ambitions. The car’s original four-cylinder engine has been replaced with a pure electric motor attached to 30 lithium-iron phosphate batteries. Making the classic Mini capable of a 75mph top speed and 65 mile range. The instant power from the car's electric motor provides a new dimension to the unmistakable 'go-kart feeling' that helped popularise the car in the first place. The classic Mini Cooper is a late example, which has been carefully restored by BMW engineers. The glossy exterior red paint is complemented by a contrasting white roof and bonnet strips, with a yellow MINI Electric logo in the brand emblem and on the wheel hubs. 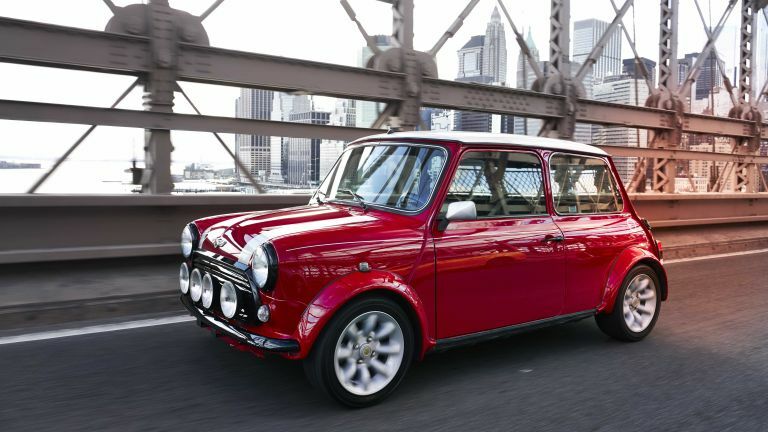 Unfortunately, this classic Mini Electric presented in New York will remain unique, as Mini are making just one. It's being used to emphasise the brand’s electric ambitions. The fully electric production vehicle is currently in development, based on the current 3-door Mini. The EV will be produced for the first time at MINI Plant Oxford next year, just in time for the 60th anniversary of the classic Mini.